Suzuki SX4 S-Cross Performance, Engine, Ride, Handling | What Car? The S-Cross’s 1.0 petrol engine is actually the same as the one found in the firm’s latest hatchback, the Baleno. It’s powerful enough for the S-Cross to feel comfortable in and out of town, but has to be worked hard if you need to sprint down a slip road to match the speed of motorway traffic. Unfortunately, while the S-Cross’s body might be well controlled, it doesn’t feel especially composed over poor road surfaces. The suspension reacts harshly and noisily to broken tarmac and potholes, and the car’s body becomes noticeably unsettled, too. As the speed builds, the initial bump absorption gets better, but expansion joints on the motorway still send a shudder through the car. 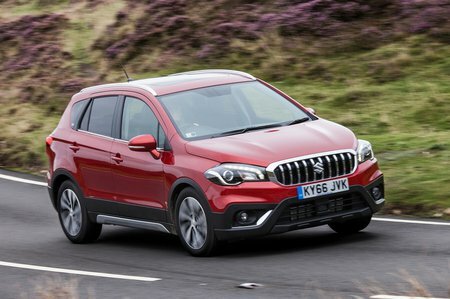 The heavier four-wheel-drive models are slightly smoother at lower speeds, as are SZ4 cars with the smallest 16in alloy wheels (all other versions ride on 17in wheels), but every S-Cross suffers the same fundamental problems with its ride. 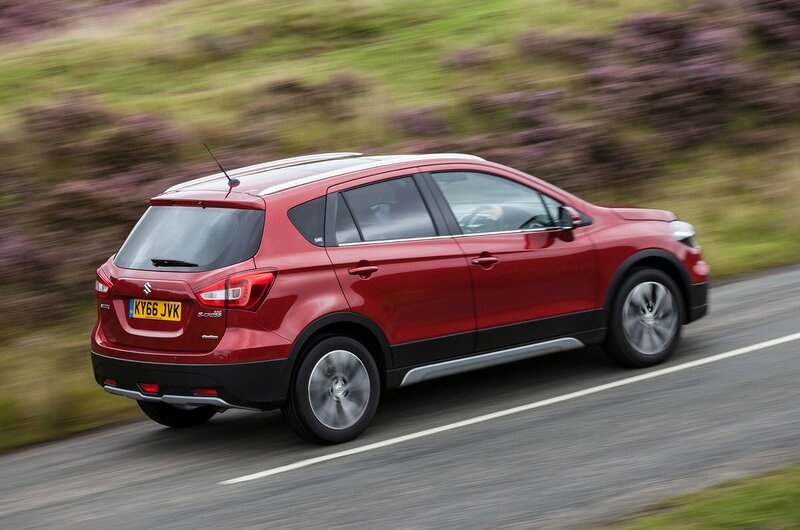 A Skoda Yeti and Nissan Qashqai are more comfortable over UK roads. No small SUV offers the last word in handling dexterity, but the S-Cross does a pretty tidy job through tight bends. It manages to keep its body nicely controlled, and the front wheels exert grip the road reassuringly . Like most front-wheel-drive cars, start to push hard in a corner and the front wheels will eventually wash wide. However, when that happens, it’s progressive rather than snappy. You can feel the slight increase in grip that all-wheel-drive models have. The steering is probably the weakest link when enthusiastic driving is concerned: it’s not great at communicating how the front wheels are faring under pressure. For the most part, though, it’s precise, consistently weighted and, at lower town speeds, light enough to make parking easy. This is one of the S-Cross’s weakest attributes, the major culprit being the 1.6-litre diesel engine. 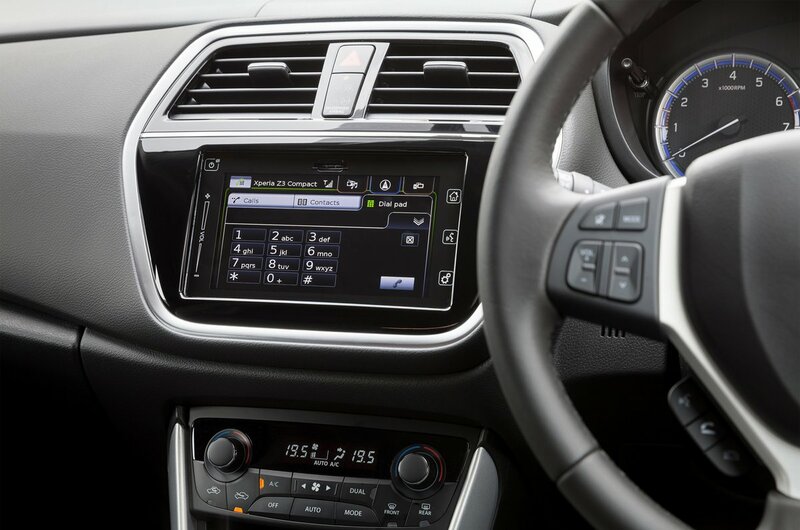 It’s noisy from idle and transmits too much clatter and vibration through to passengers, even at medium revs. Floor the throttle and the noise reaches uncomfortable levels. The 1.0 petrol is far more agreeable. Press the starter button on the dashboard and the little three-cylinder engine wakes in a gruff manner, but once underway, the engine smoothes out and settles down to an almost imperceptible thrum. However, the prize for overall refinement goes to the 1.4 petrol. At low speeds the engine is impressively smooth and silent, and, occupants will feel very little vibration even when worked hard. At high speeds on the motorway, those models with the largest alloy wheels will kick up a little road noise, and you’ll hear a bit of chatter as the wind whips around the S-Cross’s door mirrors. Generally, the Suzuki is some way behind the best-in-class Nissan Qashqai where it comes to quietness on the road.